LIDAR, which is an acronym for LIght Detection And Ranging, is a remote sensing method that uses light in the form of a pulsed laser to measure ranges (variable distances). LIDAR instruments send laser pulses in the direction of the target and then measure the time taken for each light pulse to bounce back using suited single photon sensitive detectors. Because light moves at a constant and known speed, a LIDAR instrument can then calculate the distance between itself and the target with high accuracy. 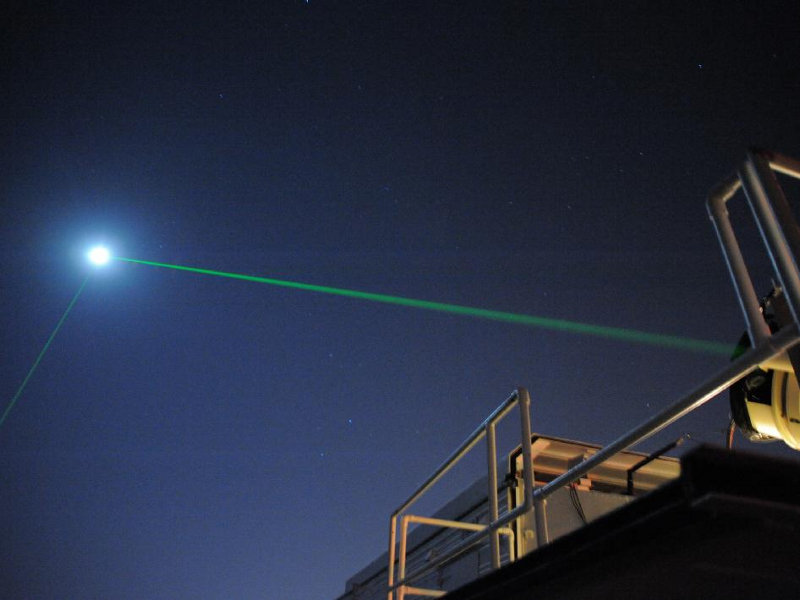 A similar technique is Satellite Laser Ranging (SLR) in which a global network of observation stations measures the round trip time of flight of ultrashort laser pulses to satellites equipped with retroreflectors. It is the most accurate technique currently available to determine the geocentric position of an earth satellite with millimeter level precision. This data is then used as a basis for advanced geodesy applications. A LIDAR or ranging set-up essentially consists of four core components: the pulsed laser, suited optics to collect the back scattered photons, a single photon sensitive detector and timing electronics with a suited temporal resolution. The depth resolution that can be achieved with such a set-up depends on several factors, including the instrumental timing response of the detector, the laser and the temporal resolution of the timing electronics. Basically, a laser pulse is sent out of a transmitter and the photons are scattered back and are collected with e.g. a telescope and counted as a function of time in relation to the laser pulse. Using the speed of light it is then possible to calculate how far the photons have travelled round trip. Photons can be scattered back off of many different things, such as other particles (aerosols or molecules) in the atmosphere or cars (police laser radar) for instance. There are also many different ways to use the signal that is collected by the telescope. Some of these uses include: detecting aerosols (pollution, dust, trace gas concentrations, etc.) in the atmosphere, detecting water vapor content in the atmosphere, measuring pressure, temperature or winds as well as many other applications. A SLR set-up is very similar to a LIDAR or ranging setup with the notable exception that the laser pulse is scattered back from satellites equipped with retroreflectors instead of diffuse targets such as aerosols or molecules. SLR set-ups are also mostly connected to a common external timing reference that is needed to synchronize the results from individual SLR stations, which are usually located in different parts of the world. This feature is readily supported by the HydraHarp 400.